Great tips and advice on living a full and active life with asthma. These resources are designed to help you and your family face the challenges of asthma head on, helping you to manage your asthma effectively so you can lead a normal, active life. 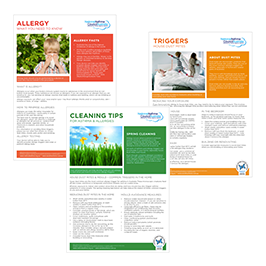 These factsheets are available to read online or can be printed and shared with friends and family. Air treatments explained What is the difference between a humidifier, a dehumidifier and an air purifier? Asthma & sleepovers Is your child with asthma ready for a sleepover? Bushfires Have you got an asthma bushfire plan? Car air filters update 2015 Latest update on which car models have air filters? Car air filters Find out which car models have air filters? Healthy eating for asthma Why does your weight matter? Thunderstorm asthma Want to know a little more on Thunderstorm Asthma? VOCs Pretty much every one has heard about VOCs, but what and where are they?